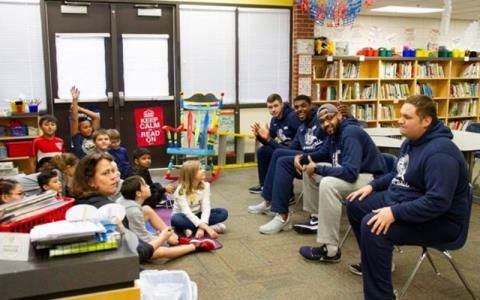 The Dalton State Men's Basketball team took a breather last Friday and got out in the community, making what has become a yearly visit to Tunnel Hill Elementary School to read to classes. 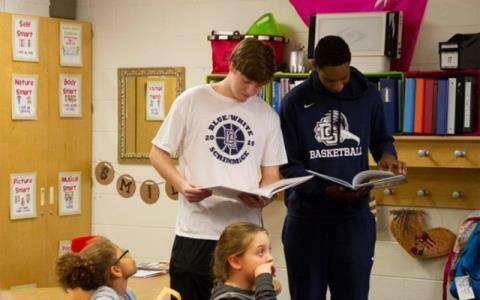 In all, The Roadrunners would read to 10 classes ranging from kindergarten to 5th grade. 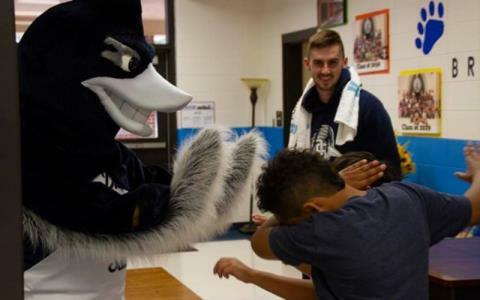 The team also brought Rage along who was a big hit among the children. "It was a great experience for our student-athletes," said Roadrunner Head Coach Alex Ireland. 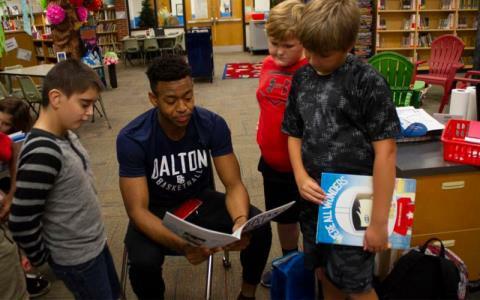 "We always relish an opportunity to give back to the community, and the opportunity to help foster a love of literature in young people is truly invaluable. We hope to return to Runnel Hill Elementary again soon." The visit was also a great moment of reflection for the Roadrunners. Senior forward Sean Chislom said of the visit, "Going to the school impacted me because it put me back into those shoes when I was a kid looking up to older people and aspiring to be them one day. It also reminded me to continue to be smart on and off the court because I'm now an example for these kids." The #15-ranked Roadrunners will hit the court this weekend, November 9 & 10, when they take on two nationally ranked opponents in the SSAC/Mid South Challenge. Dalton State will take on #8 Pikeville (Ky.) on Friday at 7:00 p.m. and #16 Cumberlands (Ky.) on Saturday at 4:00 p.m. Fellow SSAC member Faulkner (Ala.) will also be in town and will play each day before the Roadrunners, creating a two-day event of great NAIA basketball in Dalton. Tickets are still available and can be downloaded to your phone when you purchase for easier entrance into the arena.